The key point of it all was that I was willing to put $1300 (CDN) on a product that I never saw. Why? 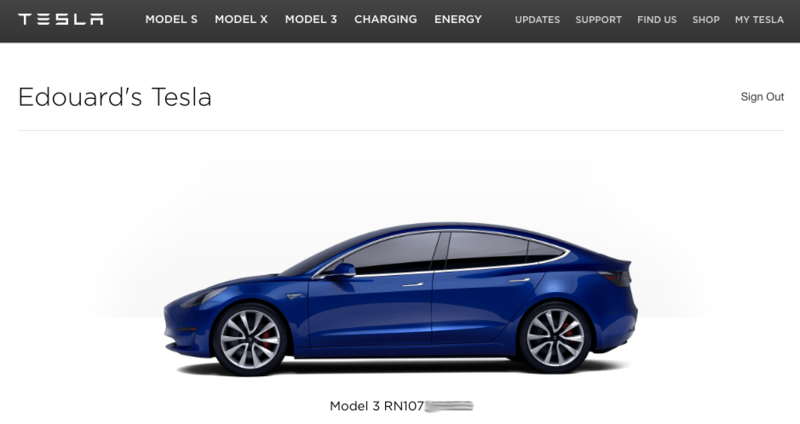 This post will fully explain why I reserved a Tesla Model 3 sight unseen and why everyone should consider these arguments for themselves. Obviously, my reasoning must have been shared by many other people as nearly 400,000 people did the same within the week of the unveil. This is the BIG reason why I decided to get an electric car. I grew up in the Big Land, Western Labrador, which holds some of the last untouched places on Earth or so I thought. The reality is that climate change is very real and it's changing the world over. When my family starts telling me that they need an air conditioner for the heat in the summer or their ice/snow sculpture melted on more frequent warm winter days, climate change is real. What's to blame for this change? Like all the scientists of the world, all evidence points to massive amount of CO2 being dumped in our atmosphere. Now I could write a massive post on climate change, however, I would never be able to do it justice. In Tim Urban's Wait But Why article titled "How Tesla Will Change The World", it provides the most complete and telling information regarding climate change and how Tesla's answering the issue. I recommend that you read the linked article section "Part 1: The Story Of Energy" then I would say "ditto". The following video from NOAA shows the recent (1979 to 2014) of CO2 emissions which are directly linked to climate change and the greenhouse effect. Watch the animation to the end to see the REALLY big picture on how mankind has changed the climate dramatically only recently (a blink of the eye at the time scale of the earth). For the record, as of April 2016 the global level of CO2 in the atmosphere reached 404.08 ppm, jumping from 400.72 ppm in April 2015, the highest recorded jump to date. There are two aspects to this reason. First, I reserved a Tesla sight unseen because I know that I'll save money. With a Tesla, you never have to buy gas, change the oil every 6000-8000 kms, replace the brakes every 2-3 years, repair the transmission/clutch/powertrain, or hearing annoying knocking/ticking sounds in the engine. I'll never have to pay for the $50 and 1/2 hour labour to have a "diagnostic" done nor will I have to haggle over warranty/non-warranty items. The cost of ownership of a regular car purchased at a dealership and serviced there is expensive and it's way more than the initial price paid. With a Tesla, the only fluid to add is windshield wiper fluid. With regenerative braking, the brakes last the lifetime of the car. The only moving parts is the electric motor(s) inline with the wheels and the suspension/steering. In fact, the only replacement items in a Tesla is the tires and windshield wiper blades, as quoted by Elon Musk. Obviously, owning a pure electric car means that you'll never have to buy gas again. But you do have to charge it and that costs money. Well, technically that is correct however you control the costs where as no one controls the price of gas. What do I mean by that? In my case, I'll be using my Tesla during the day like my smartphone and then charging the car at night, just like my smartphone. This means that my Tesla is charging (via a standard 40 amp 240V connection) at the cheapest rate (night time) because the Model 3 has "supercharger" capability standard (aka built-in high voltage/amperage charger). As of this post, access to Tesla's SuperCharger network (aka free charging for life) appears to be a add-on to the Model 3 base price. This makes sense since Tesla will have to build out the network and that's expensive. Also, Tesla is not clear whether the "standard" SuperCharger capability is dual chargers or just a single charger. I assume dual chargers as that provides the fastest charging, something Tesla needs to have due to the 500,000 cars that may be using the SuperCharger network. Of course, making the SuperCharger service (aka free for life) as an add-on keeps the initial base price low and provides choice to those who may not use the network. I don't expect Tesla SuperChargers being built in Labrador any time soon. The advantage is that if I find that I need the SuperCharger network, I can always upgrade (like adding an app in a smartphone). In the meantime, I can use the SuperCharger at a cost (minimal) per use. Of course, the first argument made by detractors (and there's lots) against owning a Tesla is that electricity is just as expensive as gas. This is false as Tesla provides a calculator to exactly calculate the cost. If I require 200 km of charge which is a lot of daily driving, using a 240V 40A connection in off-peak rates ($0.083/kWh) will cost $3.31 for 41.4 kWh in 4 hours 23 minutes charging time. If I use peak time rates ($0.175/kWh), the cost goes up to $7.04. Those rates are for my house. For comparison, my Ford Fiesta gets approximately 500 km per 40 litre gas tank fill up. Assuming a $1 per litre which is gas at its cheapest here in Ontario, 200 km would cost $16 or more than double the price of electricity for the same distance. My reasons for owning a Tesla doesn't stop at electric cars. I'm looking at a complete solution and that was brought on by Tesla's PowerWall unveiling. What is a PowerWall? Well, it's essentially the same battery as what's in a Tesla car. The second question is usually why would you want a battery for your house? The answer is quite simply to get off the grid and never pay for electricity again. Of course, that's a tall order and represents a significant investment over the long term. It is also something that I may never realize but I can work towards using a phased approach. Phase one: Buy electric car and save on gas while helping the environment. Phase two: Buy PowerWall and charge it at night when electricity is cheap and discharge it during the day when electricity is expensive. This on grid when cheap, off grid when expensive, will allows me to save even more money. Step three: Rent out roof top for solar panels or buy/lease solar panels which allows me to use the generated electricity to charge the PowerWall(s) and going completely off grid (or becoming an Ontario microFIT and make money selling the electricity while doing Phase two for my consumption). Of course, this requires a long term investment. I'm not in any rush at this point. Up to this point, I didn't mention anything about incentives or tax breaks for the above and including my future purchase of a Tesla. I did this specifically to show that even without incentives, my reasoning and possible savings can occur without any incentives or breaks. Of course, in Ontario it's possible to get back up to $14,000 in incentives (in buying an electric car) and substantial tax breaks for investing in solar panels/renewable energy. Speed and looks are just the beginning, Tesla has no car that has less than a 5 star rating in safety. In fact, Tesla maintains the world's safest cars proven through independent testing by the National Highway Traffic Safety Administration (NHTSA). The Model S has 5 stars in every category with a combined rating of 5.4 stars out of 5 stars. You probably did a double take on that statement but it is correct. The reason for it is on how the tests are quantified against safety standards, i.e. crumple zone size, remaining residual occupant space, etc., and how Tesla beats the values in a crash giving it an higher score. For more information, check out Tesla's release on "Model S Achieves Best Safety Rating of Any Car Ever Tested". Continuing the fun and cool factor, there is no denying that Tesla has the most advanced technological car. First, all Tesla cars are Internet connected inherently and will automatically update since the car has more functionality based in software. In fact, the Model 3 has no mechanical buttons, switches, or gauges. Everything is presented on a floating horizontal 15" touch screen centered in the dash. The Model 3 will have all the same hardware, like autopilot sensors, as the Model S/X in the base. The only unknown is if the "features" are going to be standard or will be "upgradeable" at additional cost. The three items in question by myself is: Will the LTE Internet connection be free like on the Model S. What Autopilot "safety" features will be included in the base? And already covered, what does "SuperCharging" mean hardware-wise? Unfortunately, I'll have to wait for the second unveiling of the Model 3 to get answers to these questions. Regardless if the answers to the above means it'll cost me more, the value proposition still outweigh the negatives. In other words, I have no doubt in my mind that the Model 3 will be a very cool and fun car to drive. Ultimately, having a car that is cool and fun to drive, helps with the environment, and dollar-for-dollar competitive with other vehicles means that Tesla has met their goal of providing "a compelling mass market electric car". However, it doesn't stop there in my mind. There's another fun and cool factor about Tesla Model 3; the buying experience. Of course, some of you will do a double take or question whether buying a car sight unseen is fun or cool. Actually, it's what is missing that is fun and cool. What's missing is the middleman, the dealership, and that is what makes it fun and cool. First, what's cool is the fact that I'm paying exactly the same price as everyone else. No markup, haggling, hidden fees, scams, etc. is involved in Tesla's buying process. No talking to a salesman only to repeat things talking to the sales manager. No nothing. I go to an Apple store and order a computer with everything I want and everything I don't want at a fixed clear price. Tesla offers the same buying experience as Apple and that is cool. If you think that you could get a better deal via a dealership, your deluding yourself. Recently, I was aware of someone going through the buying experience with a dealership. I noticed that the final bill is no where close to the advertised price. Now, of course, this could be explained by options and extended warranty but past experience tells me that it wasn't or at least it wasn't very clear. Also, this process required going to multiple dealerships to get quotes to see who would offer the best price. Ultimately, I know that the dealership is always making a profit, be it interest or fees, which adds increased cost. The dealership model is a dinosaur. Also, it doesn't stop there. In a few years when the engineered pre-determined life of the parts on your vehicle expire, mechanical problems crop up requiring service. Sometimes it's clear what the problem is and warranty takes care of it if you have it. However, even under warranty sometime it's an issue which costs you money just to diagnose since the service tech says they can't find the issue or that's "normal". Then when just out of warranty, said issue gets worse costing thousands of dollars to repair. In a Tesla, it's recommended to service the vehicle every 20,000 kms in what Tesla call an annual service inspection. This service just check things, rotates the tires, and lubricates latches and hinges. At every 40,000 kms it's recommended to check the brake fluid and at every 60,000 kms to check the battery fluid (cools/heats the battery). All this service is a fixed price and can be purchased in advance for a discount under a service plan. The warranty on all Telsa cars (to date) is 4 years or 80,000 kms, 5 years or 100,000 kms for selt belts/airbags, and 8 years unlimited mileage warranty for the battery. If the battery causes damage to the vehicle, the vehicle will also be covered. With proper care, the battery should last well beyond 8 years but the battery will be degraded some degree, that's expected. Of course, environmental conditions, incorrect charging or overcharging, and other factors can cause it to degrade faster than normal. In this case where abnormal degradation has occurred beyond the warranty, Tesla will replace the battery at no or minimal cost. Note that all aspects of the battery's condition (charging, environmental, etc.) is tracked by the car and Tesla over the life of the car. This allows Tesla to determine pre-emptively any issues before they become serious. Also, this information is fully accessible from the car by the owner. In short, there is no way that any serious issue can be "glossed over" or hidden as it all in the logs in black and white. Now you know why I'm buying a Model 3. I know that some things will change or be different than I expect, however, the underlying reason still remains: I'm doing my part for the environment while taking advantage of the benefits that is being offered by Tesla. There is a leap of faith in some regard but Elon Musk, CEO of Tesla, has proven himself in everything he means to do and does everything that he means. With 400,000 pre-orders for the Model 3, I think there is a lot of people who have the same leap of faith. Testing the comments… However, after reading my own post I must say that I’m still impressed how cool the Model 3 is. Of course, the color shown in My Tesla snapshot is not the color I would chose. That part of the reservation is not available yet.